Beautiful bottle, right? Well what’s inside is beautiful too! 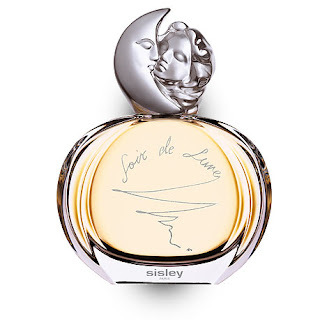 This whole week, I’ve been a bit tired of warm winter scents and needed something more fresh, so I’ve been wearing Sisley’s Soir de Lune eau de parfum. I know, I know, when you walk by the Sisley counter, you don’t really think about their fragrances or even realize that they have them. It’s the skincare that distracts you! But you should check out this perfume. It’s one that makes me keep sniffing myself and I have to make a conscious effort to stop myself at two sprays of this one. The perfume is so well blended that it took me a while to figure out what exactly I was smelling. Though the official top notes include bergamot, mandarin, lemon, coriander, nutmeg and capsicum pepper oils, I find myself smelling the pepper mixed with the middle floral notes. I can especially smell the rose as the fragrance dries down but the spices are still there and add a little something extra to the fragrance. This is a fragrance that you just have to smell for yourself to know what it’s like so check it out at Holt Renfrew.